Escape, Relax, Recharge and Reconnect At Mill Meadow. Mill Meadow is a development of luxurious 5 Star Gold Carbon Neutral Eco Lodges. 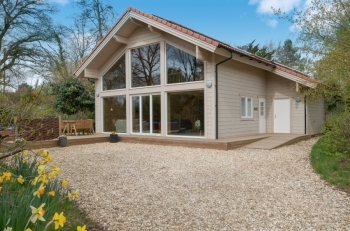 Nestled quietly in gentle green Somerset countryside at the foot of the stunning Quantock Hills, Mill Meadow offers the perfect escape from the stress of modern every day living. Walk out the front door and the sound of birdsong, and nothing else, is striking - a true countryside idyll. Come and experience for yourself the tranquility of Mill Meadow and spend your holidays with a clear carbon conscience. Just a stroll away is the sought after village of Kingston St Mary with its beautiful church, thatched cottages, mews and a welcoming local pub. The Quantock Hills are ideal for all visitors including walkers and cyclists offering a variety of routes with cycle hire available onsite. The central location is perfect for exploring, the coastline is only 15 miles away, with Exeter, Glastonbury, Bah and Wells all at hand and the North Devon coast a comfortable day trip. Within 10 minutes of Taunton's mainline rail station (London Paddington 1 hour 40 minutes journey time) and major road links (M5 Junction 24 & 25), Mill Meadow is easily accessed and a perfect place to recharge. So come and join us at Mill Meadow and find out for yourself more about our beautiful countryside. Please note - as a self catering provider we have a minimum 3 night booking policy.